Steven Wood is a broadly-experienced strategist with wide-ranging healthcare experience and expertise, and exceptional business development and marketing skills. As an acknowledged thought leader in customer loyalty strategies, Steve is passionate about creating customer-focused programs that grow preferred patient bases for hospitals and medical practices. 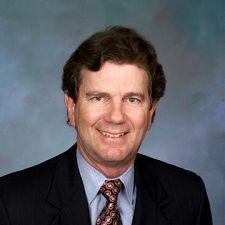 With over 30 years of executive leadership experience with firms such as J D Power and Associates and Healthgrades, Steve contributes productive insights into problems and opportunities associated with accelerating hospital revenue streams from patients, physicians and payers. Dr. Wood is Co-author of four books (three in medical marketing) and has published more than 80 papers in scholarly and professional journals.